Expert advice from a trusted name in gardening. Get the solutions to your gardening problems from the American Horticultural Society's Practical Guides Select from this ever-growing library of titles for the best gardening advice on plants and plant care, garden design, and garden construction. 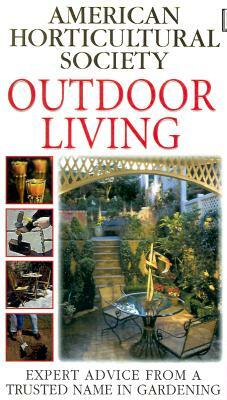 Outdoor Living Includes: Designing for outdoor living -- planning your outdoor space; choosing a style; dining and entertaining areas; creating a relaxing space; ways of creating shelter; using lighting; styles of garden furniture; play areas. Practical projects -- building a barbecue, play area, water feature, and sandbox; creating a mosaic table; assembling a chair; installing lighting; erecting a gazebo and an awning. Essential know-how -- illustrated guide to tools and materials; using cement; ordering and estimating quantities; paints and stains; safety advice; general maintenance of surfaces, garden furniture, lighting, and water features.